One Piece is one of the longest ever running Manga and Anime series and I absolutely love it. The universe of One Piece is, probably, one of the best universes ever thought and created by mankind. It’s strange, funky, imaginative, fricking fantastic; don’t let me start talking about the immense cast of fantastic characters. There has been quite a lot of One Piece games throughout the years and console generations ranging from passable to awesome games. I would place World Seeker somewhere in between that range which I will explain more down the line. As a One Piece game, World Seeker is just fantastic. The story is exactly what you might expect from One Piece. There’s always an island; there’s always a resident of said island who will become good friends with the Straw Hats; there’s always a bad guy whose true intentions reveal as you progress more through the story; there’s always a MacGuffin; there’s always the Marine; there’s always other strange pirates. Everything that makes One Piece as good as it is, story wise, is present in World Seeker. But as an open-world game, World Seeker is quite lacking. The critical path is good, as you, playing as Luffy, will get to save the island, interact and fight against tons of generic pirates, some major ones and most of the scary Marine Admirals. The rest of it, the side content of this open-world, is extremely lacking as mostly it’s boring fetch quests like getting 3 carrots for a granny or just go someplace and beat the pirates you find there. There’s nothing unique, nothing to make it worth your while apart from the experience points you can use to unlock new skills for Luffy. And then is the open-world itself. Yes, it is relatively big and “varied”, but it feels empty and devoid of life. Yes, there are pockets of pirates spread out in the world for you to fight, but even that gets boring after a while. There’s really nothing going on in the world as you play. The NPCs are just glued to one place, they don’t do anything and if you talk to them they will hit you with a line or two of dialogue and that’s about it. The same thing goes for the rest of the Straw Hats, they are just there, but don’t do anything apart from giving you some side missions. You don’t see them fight, you don’t fight alongside them, they are just there to look cool. One Piece’s universe is mind-boggling and filled to the brim with creativity and if I start thinking of the gameplay possibilities… oh man. Or at least let me sail with the Thousands Sunny… but no, you can’t do that here. What you can do instead is run around as Luffy in this island, grapple to ledges or trees to launch yourself forward like a rocket, Batman style. Now this last thing, grappling is super *said in Frankie’s voice* satisfying, fast and really freeing. I would have loved if the developers expanded Luffy’s abilities a little bit by making him glide wingsuit style since he can stretch his body as he is made by rubber, but hey maybe on the sequel. Other than traversing, you can punch, do simple combos and launch Luffy’s powerful signature attacks which look really good. One thing that this game gets extremely right is how the characters look and their animations. I don’t know if it is the slight cell-shading or something else, but they do look like they are pulled straight out of the Anime and I absolutely love that. I would have loved it even more if they had spoken Japanese dialogue for every line of dialogue in the game, not only the main cutscenes but again, maybe on the sequel…fingers crossed? The more I write about World Seeker, the more I understand that you can’t truly be objective about something based on a thing you absolutely love. World Seeker has many shortcomings when it comes to its gameplay due to being an open-world game, but at the same time it’s way better than the Dynasty Warriors like crap One Piece games we’ve gotten in the past years. 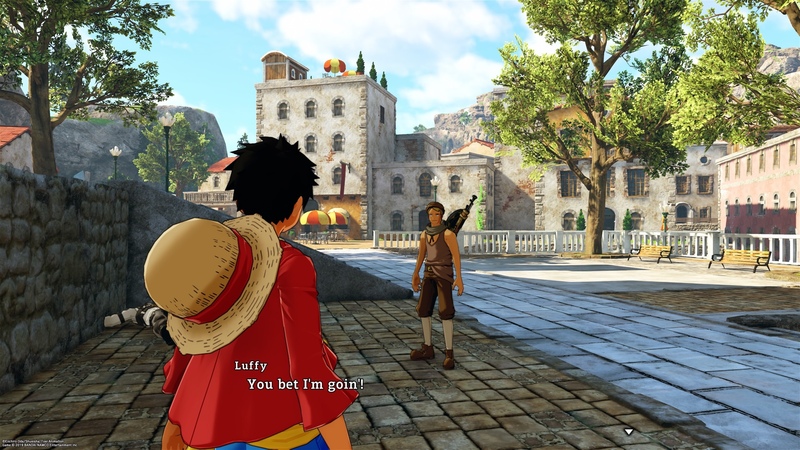 If you are a fan of One Piece, definitely this is a game for you, but if you are looking for awesome One Piece true open-world game, you might get disappointed. Thanks for reading. 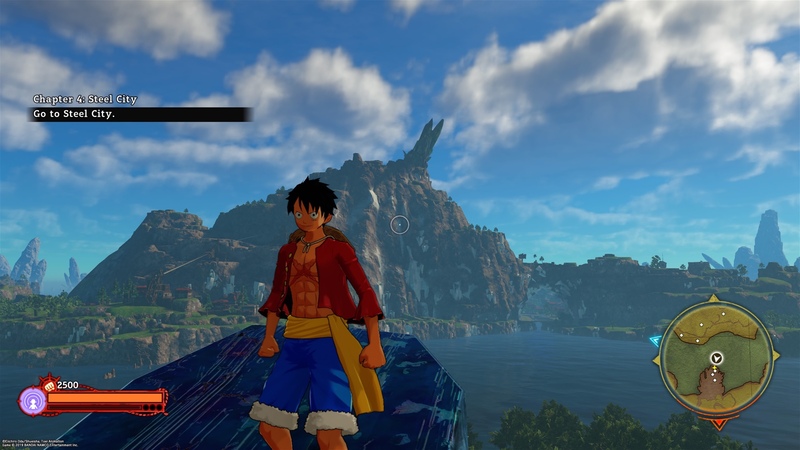 One Piece: World Seeker is available for PC, PS4 and Xbox One. This review was based on a PS4 review code provided by Namco Bandai.